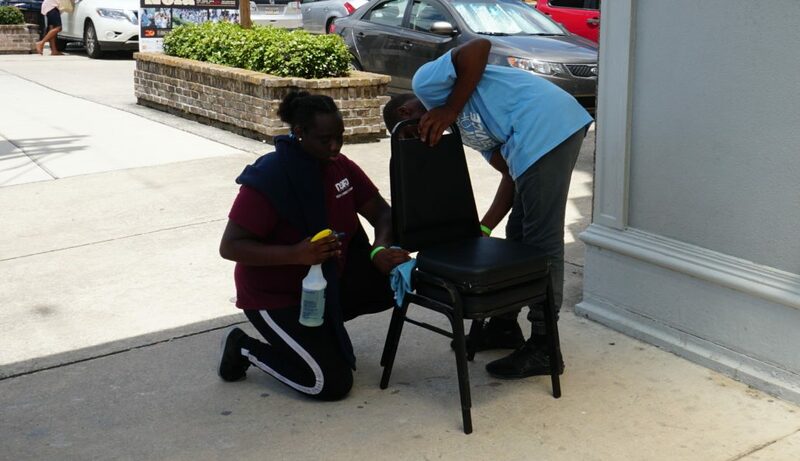 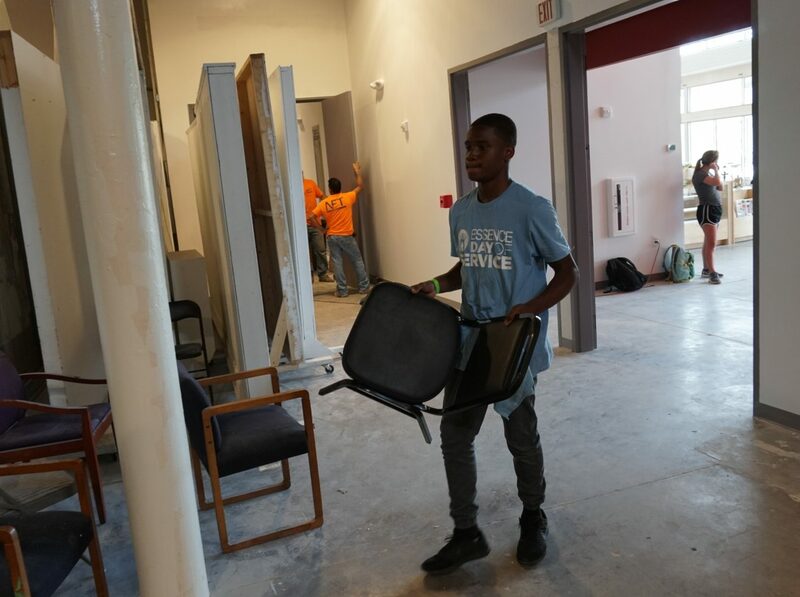 Volunteers and MIC-AMPED campers worked to clean the dust off of the renovated Ashé CAC. 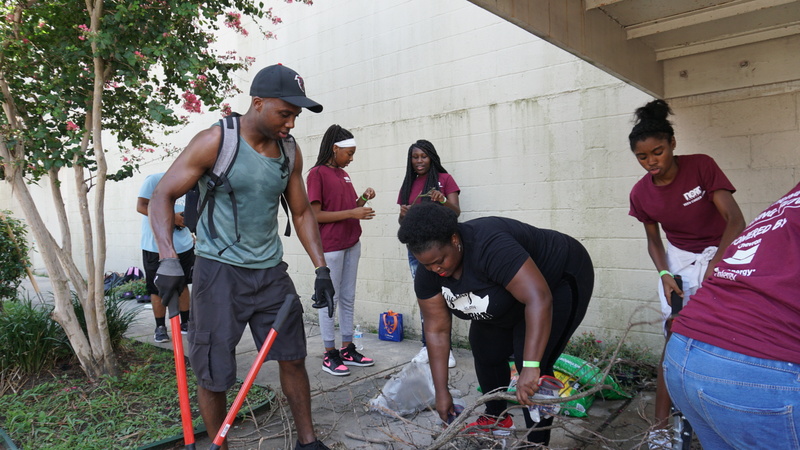 There’s no question that Essence Fest has a major impact on the city of New Orleans. 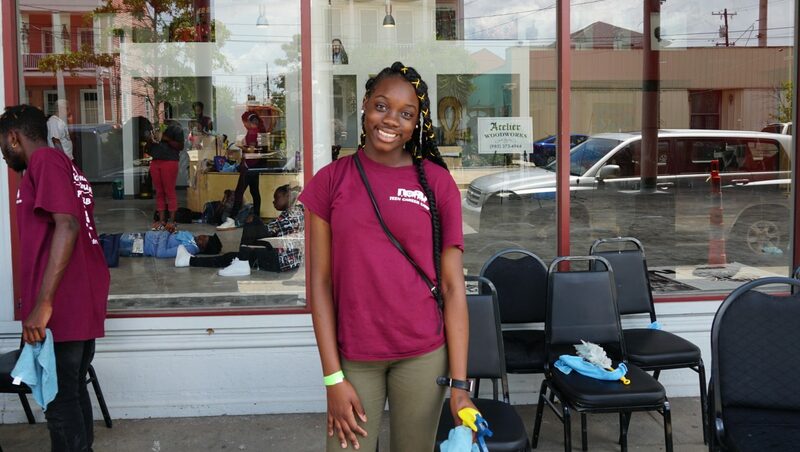 The megafest, which celebrates the art, music and hustle of African-American women, is the second-largest event of the calendar year in New Orleans, after Mardi Gras. 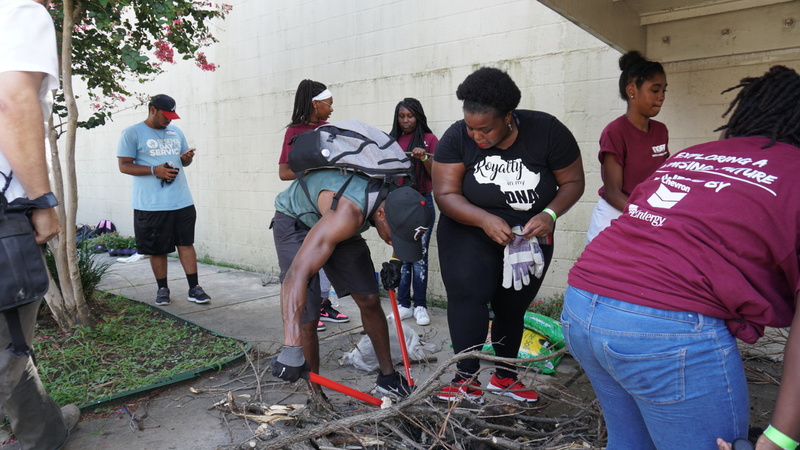 But it isn’t enough for Essence Fest to leave local pockets a little fatter in the Crescent City, the festival organizers also like to make a point of giving back in more straightforward ways. 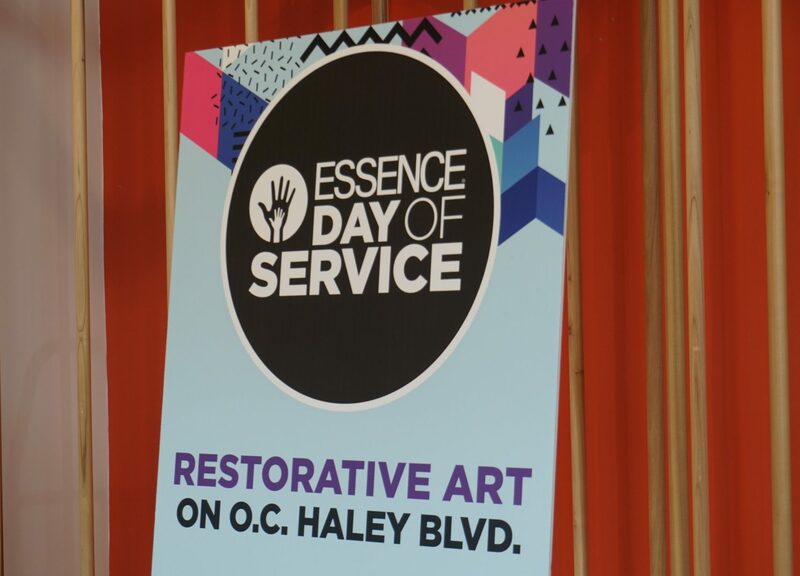 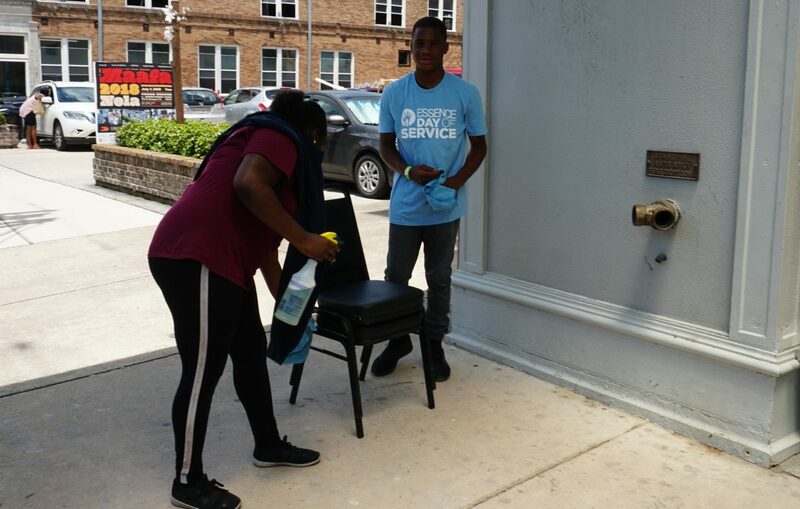 Every year, Essence starts with a Day of Service where volunteers donate their time to help with beautification projects and clean-up throughout the city. 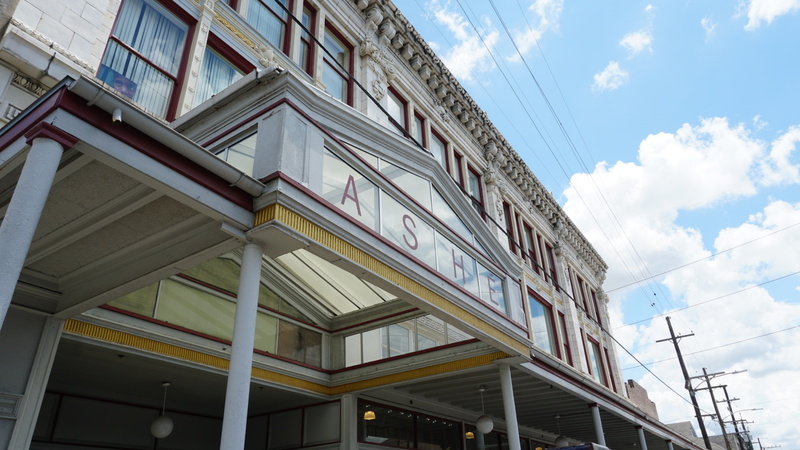 This year’s edition couldn’t have come at a better time and aligns with the re-opening of the Ashe Cultural Arts Center. 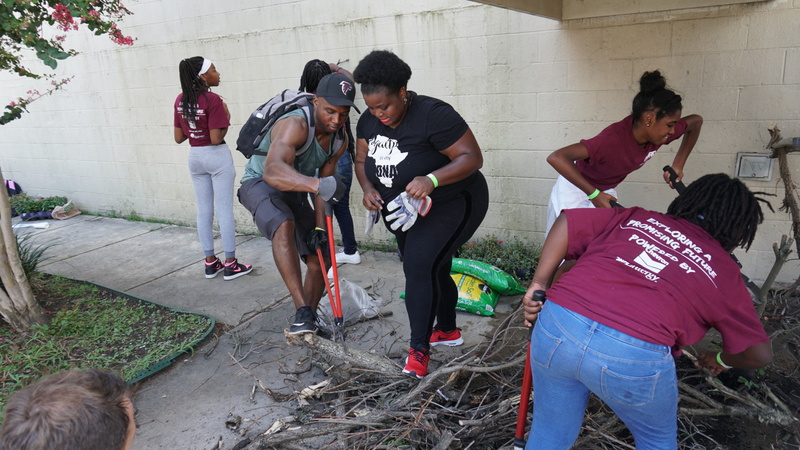 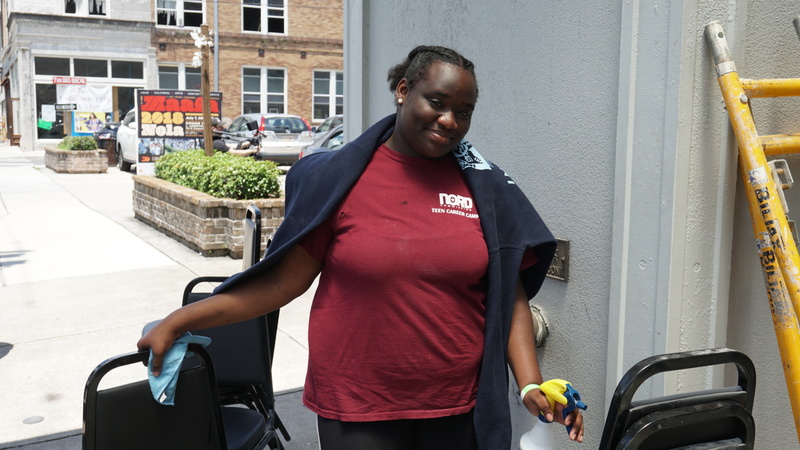 With Central City as the adopted hub of goodwill for non-Superdome activities, Essence volunteers were able to lend a hand at the historic home of Black commerce in the city. 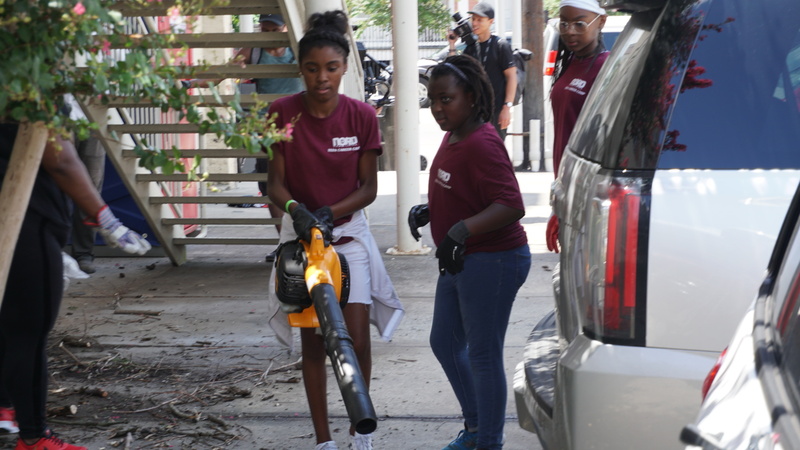 This year, children from the Milne Inspiration Center‘s Adolescence Making Positive Educated Decisions (MIC-AMPED) helped clean the Ashe Center and provide landscaping. 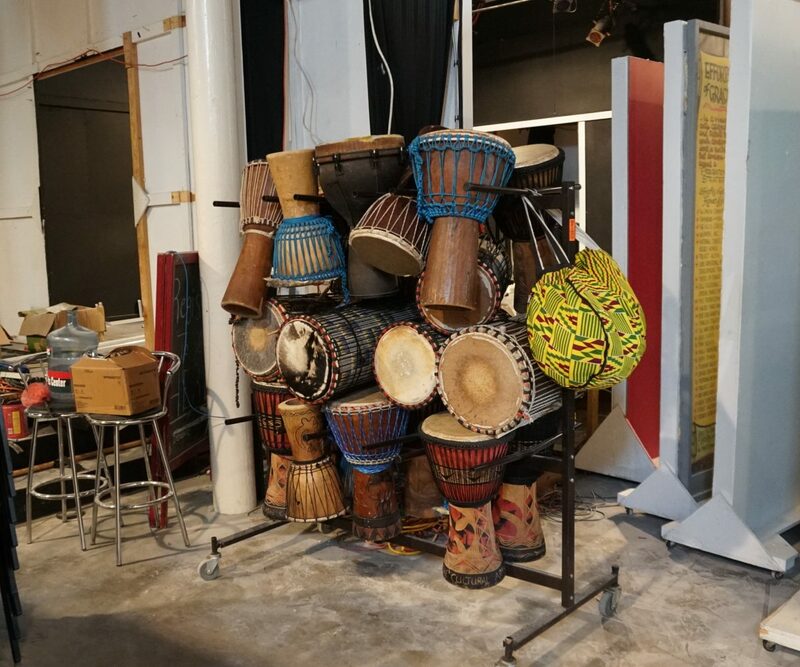 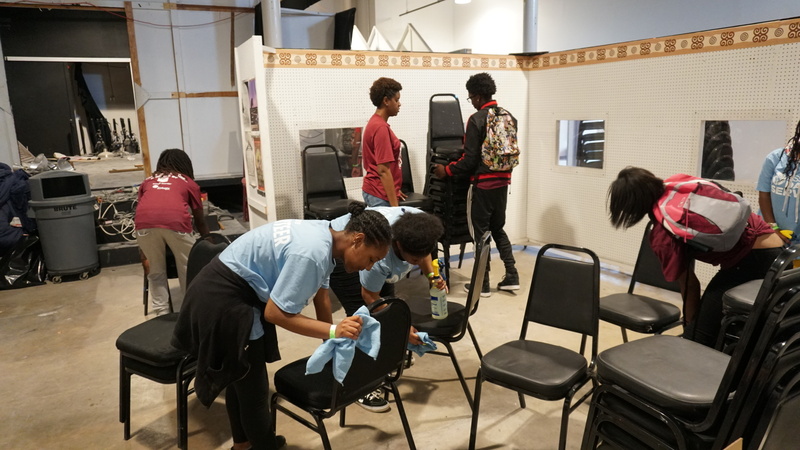 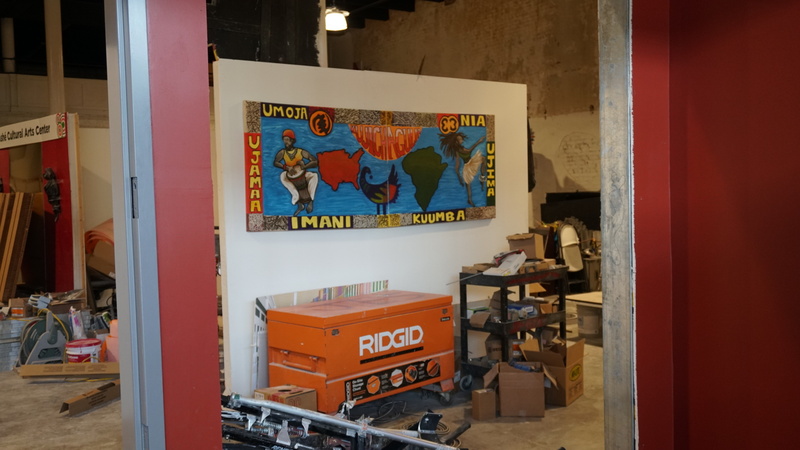 Under the direction of MIC founder La’Kedra Robinson and several volunteer leaders, kids helped to beautify the center that celebrates artists of African descent. 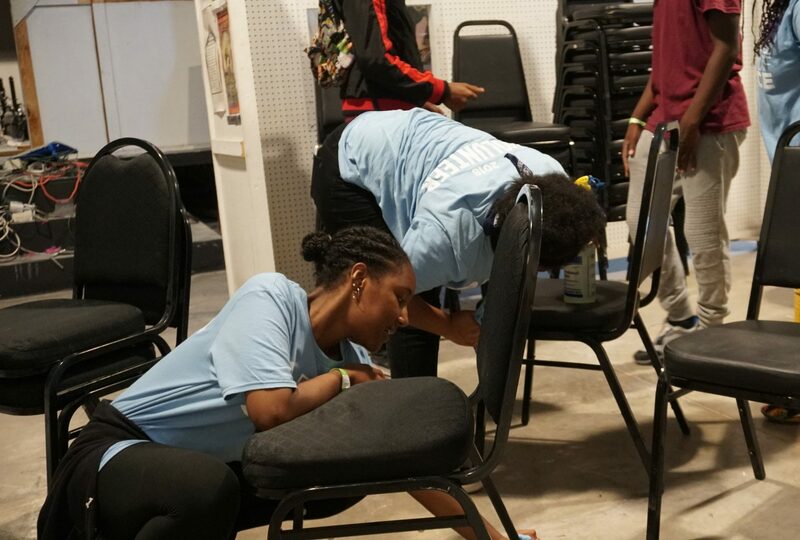 Click through the photos above to see how it all went down.